Good and honest XT Falcon, could be the perfect weekend cruiser! An update to the XR Falcon, the XT was produced from 1968 to 1969, and was the second iteration of the second-gen Falcon. New changes for the XT included: a new front grille and various updates such as split-system brakes, larger diameter tyres, and electric windscreen washers. Body styles on offer included a four-door sedan, station wagon, and two-door utes and vans. Engine options included two sixes and two V8s: ranging through 188ci and 221ci for the inline-six options and two 302ci V8 units. 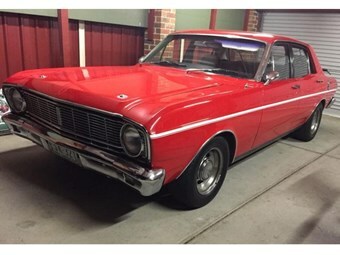 This Ford XT Falcon 500 however, no longer bears its original driveline; now fitted with a 250ci six and a Ford four-speed single rail. It looks like a well-presented honest car, and in good condition for its age. It was reportedly restored around 18 years ago, and has had all under body work gone over in the last 12 months with no rust detected. The seller notes that there are four bubble spots of rust on the body, but states there are no majorly affected areas. The car is in great running condition, with the interior in good condition, though lacking original parts in a few places – though everything works! Overall, it looks like a good and honest car. In the seller’s words, it’s "no show car but very presentable". The seller has receipts for all recent work, and if you’re after something classic to enjoy on the weekend, this could be a good buy! The car is based in Victoria, and is listed for $22,000. Also, keep an eye out for the next issue of Unique Cars, as we’re putting together a special 50-year anniversary Buyer’s Guide, dedicated to the XT Falcon!